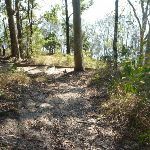 Veer right: From the intersection, this walk follows the track through forest, while keeping the lake on your right. 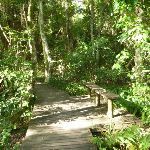 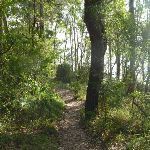 This walk continues through forest for about 50m, to descend timber steps and then continues for a further 20m, to find a timber boardwalk and bridge (with views of the lake). 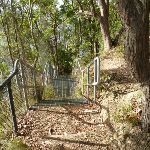 Then this walk continues for about 35m, until climbing gently up timber steps and coming to a track (on the left) midway up the steps. 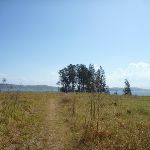 Continue straight: From the intersection, this walk follows the timber steps gently uphill, while keeping the lake on your right. 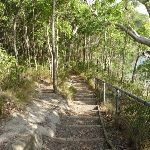 This walk continues for about 60m, then descends down timber steps. 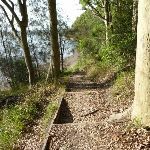 Then this walk continues for about 160m through forest, climbing gently up and down timber steps to find a timber boardwalk and bridge (with good views over the lake). 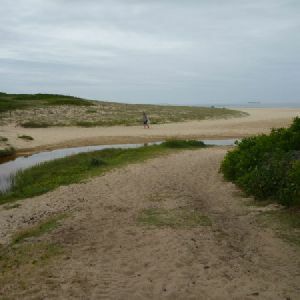 The walk continues for about 210m, until coming to a four-way intersection, with a large grassy area (Green Point) (on the right). 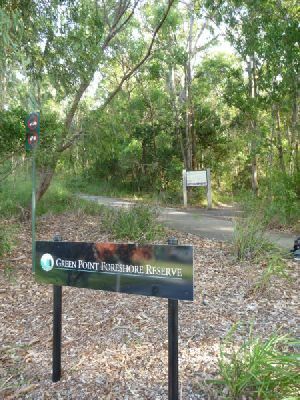 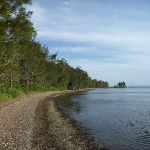 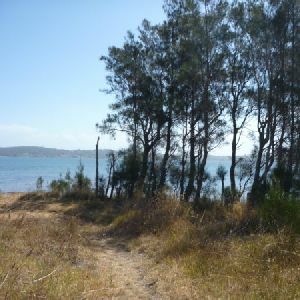 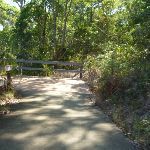 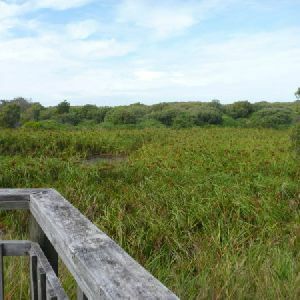 Turn right: From the intersection, this walk follows the track towards Green Point (and the water), while leaving the forest directly behind you. 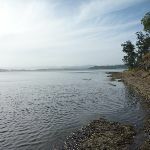 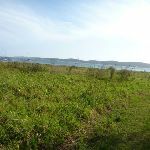 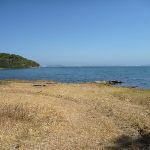 This walk continues for about 60m, passing across grasslands and towards a small clump of She Oak trees, until coming to the lake edge and Green Point. 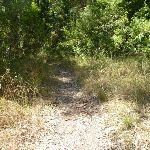 Continue straight: From the intersection, this walk follows the track gently uphill into forest and leaving Green Point directly behind you. 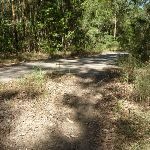 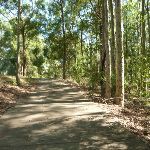 This walk continues through forest for about 160m, until coming to a three-way intersection with a concrete footpath and ‘Walk Safe/Cycle Safe’ sign (on the right). 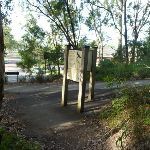 Turn left : From the intersection, this walk follows the gently uphill concrete footpath, while initially keeping the track and ‘Walk Safe/Cycle Safe’ sign (on your left). 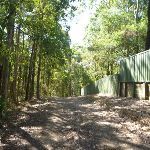 This walk then continues through forest (ignoring side tracks) for about 400m to come to a small heath clearing (on the left). 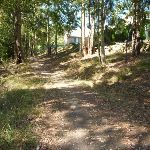 Then this walk continues moderately steeply on the zigzagging footpath for about 130m (passing a metal seat), until coming to a three-way intersection with a trail (on the right), and houses (directly ahead). 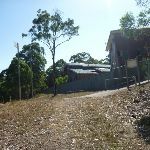 Turn left: From the intersection, this walk follows the footpath gently uphill, while keeping the houses on the right and the valley on the left. 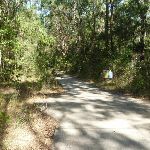 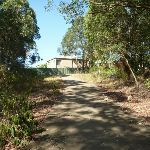 This walk continues through forest for 70m, until coming to a three-way intersection with a footpath between houses (on the right) and a ‘Green Point Fire Trail’ sign (on the left). 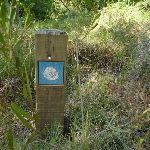 Continue straight: From this intersection, this walk follows the trail, while keeping houses on your right and the valley on your left. 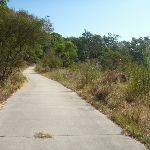 This walk continues, undulating for 300m, until coming to a three-way intersection (as the trail turns left), with a gently uphill track into houses (on the right). 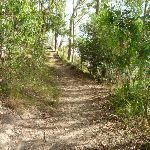 Turn left: From the intersection, this walk follows the trail while keeping the houses on the right and the valley on the left. 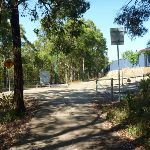 This walk continues, undulating moderately steeply along the fire trail for about 400m, until coming to a three-way intersection with a locked gate and concrete foot path between houses (on the right) and a ‘Green Point Fire Trail’ sign (on the left). 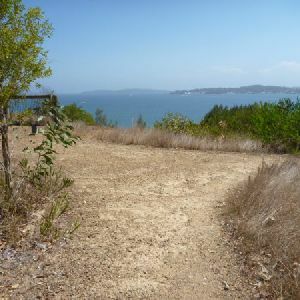 Veer left: From the intersection, this walk follows the trail moderately steeply downhill, while initially keeping the locked gate and houses on your right. 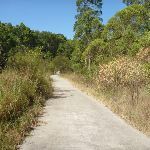 This walk continues through forest, becoming gently undulating for about 140m, until coming to a faint three-way intersection with a moderately steeply downhill track (on the left), just as the trail bends (to the right). 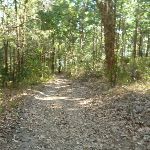 Turn left: From the intersection, this walk follows the track moderately steeply downhill into forest, while leaving behind the level trail and houses. 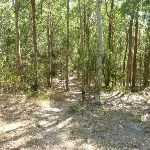 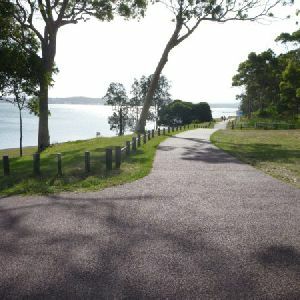 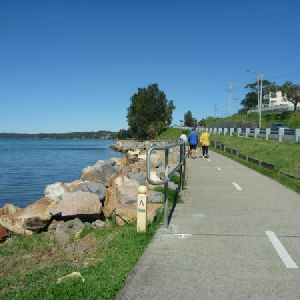 This walk continues for about 300m (ignoring side tracks), becoming gently downhill, until coming to a T-intersection with timber steps (and Lake Macquarie directly ahead). 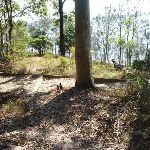 Turn right: From the intersection, this walk follows the timber steps gently downhill, while keeping the lake on your left. 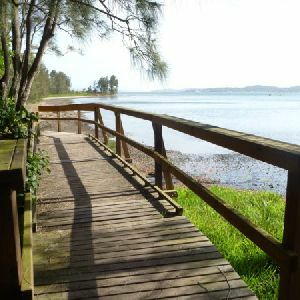 This walk continues through forest for about 35m, to find a timber boardwalk and bridge (with views of the lake). 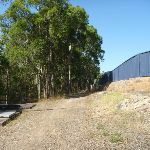 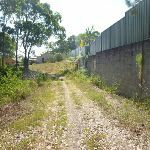 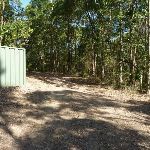 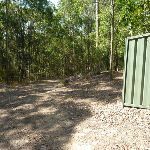 Then this walk continues for about 20m, climbing up timber steps and following a track for a further about 50m, until coming to a three-way intersection, with a track and ‘mangrove seed symbol’ signed timber post (on the right). 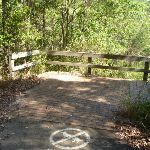 Continue straight: From the intersection, this walk follows the track away from the lake, initially keeping the ‘Mangrove Seed Symbol’ timber posted sign on your left. 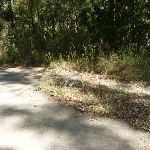 This walk continues through forest and gently uphill for about 180m, until coming to a T-intersection with a concrete foot path, and ‘steep bike riding’ sign (on the right). 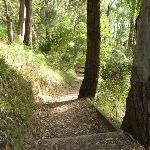 2.8km of this walk has short steep hills and another 690m has gentle hills with occasional steps. 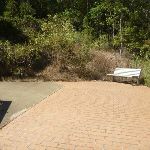 The remaining (340m) is flat with no steps. 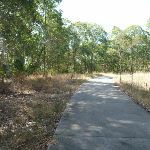 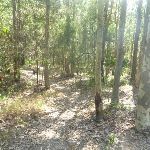 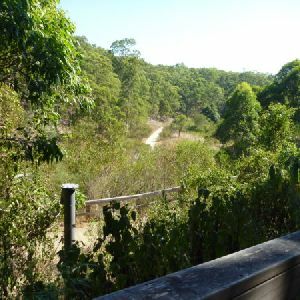 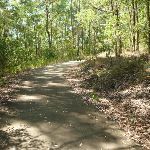 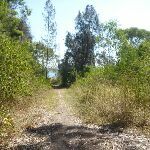 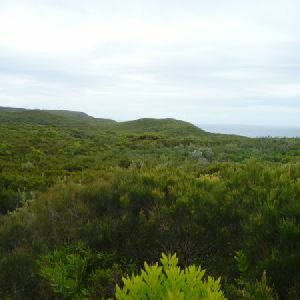 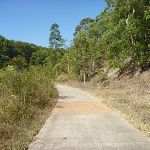 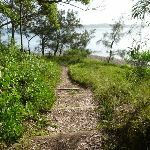 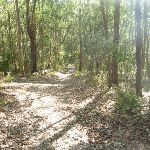 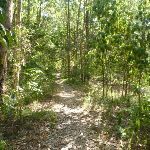 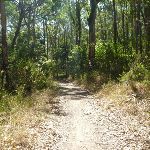 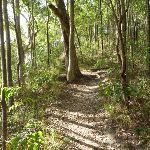 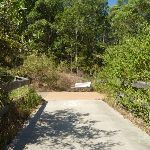 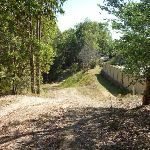 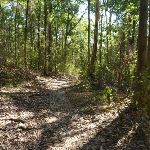 1.7km of this walk follows a formed track, with some branches and other obstacles and another 1.2km follows a clear and well formed track or trail. 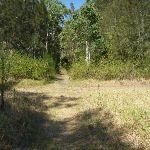 The remaining (920m) follows a smooth and hardened path. 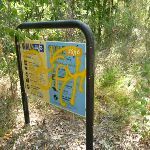 1.8km of this walk is clearly signposted and another 1.2km has directional signs at most intersection. 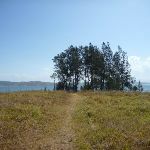 The remaining (850m) has minimal directional signs. 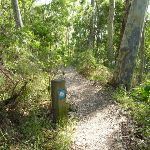 Around 3.5km of this walk requires no previous bushwalking experience, whilst the remaining 300m requires some bushwalking experience. 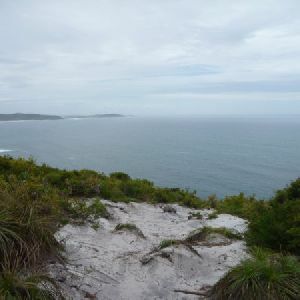 2.5km of this walk is close to useful facilities (such as fenced cliffs and seats) and another 950m has limited facilities (such as not all cliffs fenced). 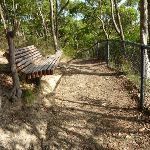 The remaining (300m) has limited facilities (such as cliffs not fenced, significant creeks not bridged). 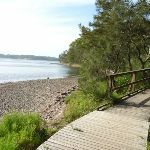 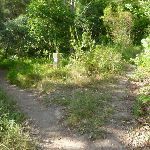 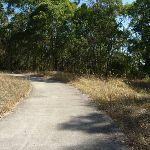 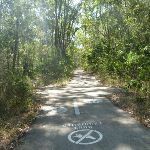 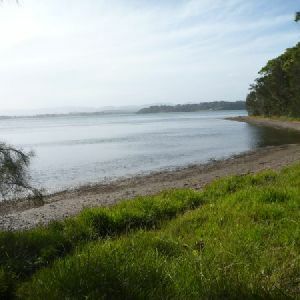 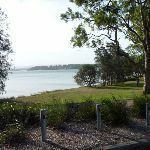 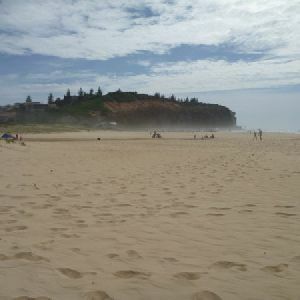 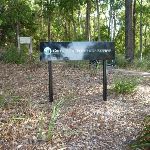 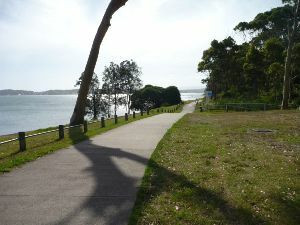 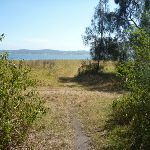 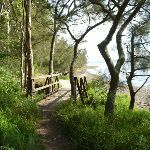 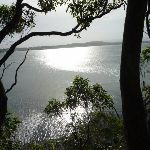 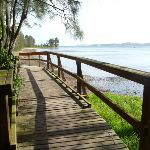 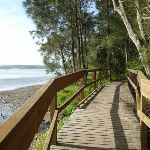 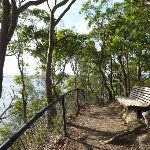 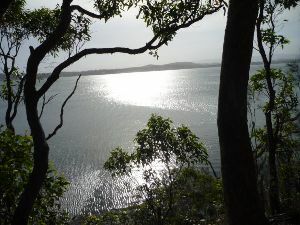 A list of walks that share part of the track with the Northern Green Point Circuit walk. 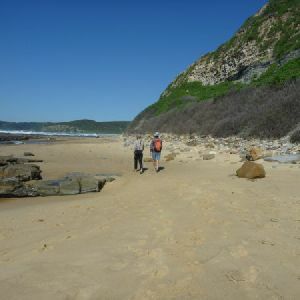 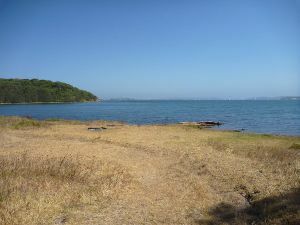 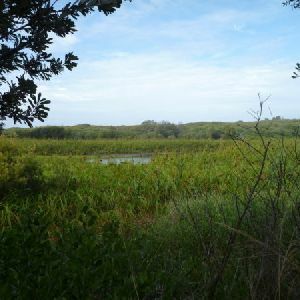 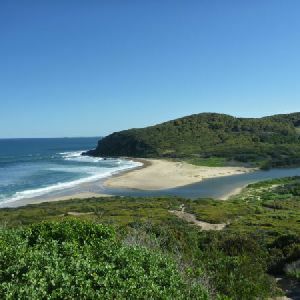 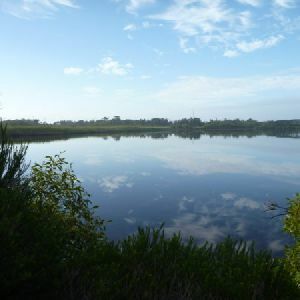 A list of walks that start near the Northern Green Point Circuit walk. 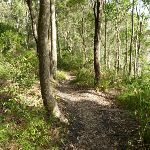 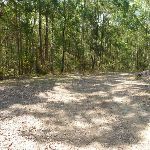 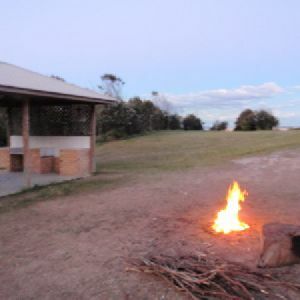 http://new.wildwalks.com/wildwalks_custom/includes/walk_fire_danger.php?walkid=nsw-lakemacquarielga-ngpc Each park may have its own fire ban, this rating is only valid for today and is based on information from the RFS Please check the RFS Website for more information.